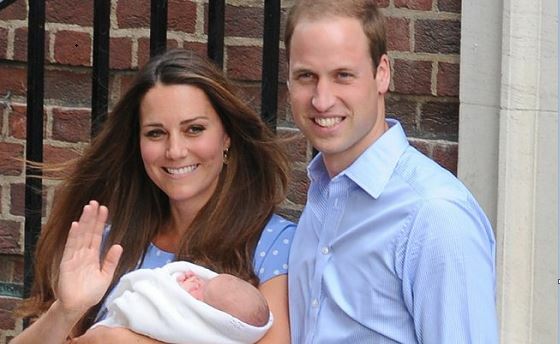 Kate Middleton, the Duchess of Cambridge, has given birth to a baby boy. The new royal baby is fifth in line to the throne, bumping Prince Harry to sixth. His official title is HRH Prince of Cambridge. Kensington Palace tweeted a statement saying: “Her Royal Highness The Duchess of Cambridge was safely delivered of a son at 1101hrs. The baby weighs 8lbs 7oz. The Duke of Cambridge was present for the birth. The Palace had earlier announced that the Duchess was in “early stages of labour”. “Her Royal Highness The Duchess of Cambridge was admitted to St. Mary’s Hospital, Paddington, London earlier this morning in the early stages of labour,” Kensington Palace had said. Middleton had travelled to the hospital with her husband Prince William. She gave birth to the baby boy in the same hospital wing where she delivered her first two children, Prince George and Princess Charlotte.